What you need to know about CD Projekt's card battler. 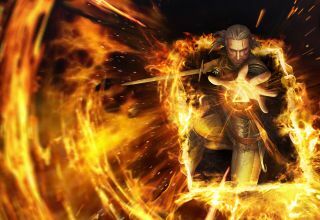 It was only a matter of time until The Witcher 3's addictive and distracting card-collecting minigame became a standalone game, but Gwent: The Witcher Card Game offers a completely different experience to the single player version I spent hours with. Gwent offers a fresh take on the CCG genre and so far it has suggested that it has enough scope to support numerous styles of play in the future. To help you get to the most out of the closed beta, here's a handy guide to help you learn how to access new cards and build formidable decks without breaking the bank. Just like in The Witcher 3, there are several factions you can adopt and it’s important that you pick the one that suits your playstyle and stick to it. Currently there are Monsters, Northern Realms, Scoia’tael, Skellige and Nilfgaard to choose from. Each class gets its own unique ability—the Northern Realms boost their troops' strength and immunise them against attacks and weather spells through promotion to gold status, while field medics can return fallen soldiers to fighting form. Monsters attack in numbers that grow into hordes with the breed ability, and become stronger in harsh weather conditions. Every faction has their own unique traits and each deck is built from a minimum of 25 cards, so take them for a spin and get a feel for how they play. You’ll notice that there have been significant changes to Gwent since The Witcher 3 and thankfully the standalone game is a little more balanced. Acquiring cards is also a lot harder, as you either have to spend a huge amount of scraps to craft a specific card, or hope you get what you want when opening a keg. To actually make a good deck you should avoid simply collecting every card, instead focus on bolstering one of the five starter decks. Just like most card games the meta shifts all the time and certain factions will see a lot of play, while others will go relatively unnoticed. Pick a faction you feel fits your playstyle, or one you’re fairly familiar with and go straight into a casual game. There will be cards that you have yet to come across and outplaying a human opponent is much harder than outsmarting the gullible AI, but it’s important that you understand the intricacies of your deck. Try to take the time to study each faction and memorise their key cards, as this will allow you spot glaring weaknesses and see their unique win conditions. Knowledge is key in any competitive card game and it’s free for the taking, so take a quick gander and note down areas that could be improved or abused with new cards. Once you have found a faction that you’re comfortable with you need to start milling any unwanted cards down into scraps. Your starting deck won’t come packed with every card you desire and even if you purchased several kegs it’s unlikely you’ll get what you’re looking for. Milling greatly reduces grinding countless games for scraps and allows you to destroy any unused cards. Every card has a scrap value and rarer cards obviously yield more materials. These scraps can then be used to craft new cards and offer a great way to start bolstering your starter deck early on. Simply head over to your card collection screen and start omitting all your duplicates, but remember to avoid milling down every unused card as when the meta shifts the cards you destroyed could become extremely useful. Remember that you can’t place more than three of any kind of card in a deck, so don’t be afraid to ditch any spares immediately. Certain cards also have a one per deck limit, so make sure you recycle those to get a further yield of scraps. However, even if you choose to mill all your spare cards from every faction you still won’t be able to build all the cards you want. It may be tempting to put all your scraps into purchasing one or two gold cards, but think about compiling a bunch of cheap basic cards that you can use in combos, or find ways in which you can counter the effects of popular cards. It might be a rather boring option, but it’s worth having a flexible deck that can function under a few win conditions rather than relying on drawing one or two high-tier cards that rarely see play. Milling may be a very slow process, but it doesn’t cost a penny and it allows you to get the cards you want without having to rely on the RNG and cost associated with buying kegs. The most important strategy for winning in Gwent is paying attention to your own card count. Always aim to use as few cards as possible in the first round, but force your opponent into playing catch-up by making them use multiple units. Having a card advantage means there are more ways for you to outscore your opponent and less ways for them to outscore you. Neutral cards like Vesemir, Lambert and Eskel can be played in any faction and give you a very strong starting hand. These silver Witcher cards instantly bolster your strength, as if you have all three, playing any one of them will instantly pull the other two from your deck and put them into play. In just one swift move you can access a powerful 19 strength lead, which can be increased further by throwing down Prize Winning Cow before you pass the round. This action will give you a nine strength advantage in the second round when the card transforms into a Chort. Another easy way to win via card advantage is to purposefully lose a round. To do this, start with high value cards and when your score is around 10 points or higher, pass on your turn. This will ensure that your opponent has to play more than one card and can even force them into revealing their best cards. After you lose, you will have a significant advantage over your opponent and a much greater chance of winning the next two or three rounds. Just remember to always stagger your card strength to avoid Scorch from destroying your strongest unit. Buffing just one or two cards and then duplicating them with the Northern Realms Foltest’s leader ability may sound like a great idea, but it can also leave you extremely vulnerable to Scorch and Dimeritium Bomb. To avoid this frustration make sure you stagger your cards strength slightly and don’t focus on winning with just one row. Always try to trick your opponent into using their best cards and strategies before you counter them. For example, a popular playstyle at the moment involves the Monster faction laying down a series of weather conditions that greatly buff their units. Weather decks are very popular in ranked and casual levels of play, so simply allow your opponent to set up the various weather conditions and wait for them to play their Foglets. Once the weather effects are in play, counter with Clear Skies to stop the buffing process dead in it tracks. Lacerate will also allow you to deal three damage to an entire row and can be very effective against hordes of monsters. Make sure you have various ways to clear the board should you run into a particularly aggressive opponent, as this can instantly stop many of the popular factions from setting up their main combos. Gwent is all about distraction and mind games, so it’s best to trick your opponent into thinking you’re using your best cards by buffing those you don’t normally use. They will usually fall straight into your trap and try to match your strength by using most of their main combos. However, you will see the panic set in as you pass the round and they mouse over each of your cards and realise they have made a grave error. Their best cards would have been used in the previous round and they will not be able disrupt your real motives. Their remaining cards will often lack synergy with the rest of their deck and will allow you to easily snag a win in the second and third round. If you spend a few hours playing casual or ranked games you’ll begin to acquire scraps, ore and experience points for every match you play, even if you take lose. These resources obviously increase if you win, but if you claim your daily bonus and win a few matches you’ll soon have enough ore to purchase a few kegs and plenty of scraps to start building cards. Once you level up you’ll get another stack of resources, so just keep playing. You’re bound to lose a bunch of matches at first and it can be frustrating, but don’t be deterred. You’ll continue to learn the intricacies of each faction and your skills will increase. CD Projekt Red literally chucks rewards at you and there system makes free-to-play and limited-spend much more viable. All you need is patience, so instead of reaching for that credit card take your time, learn to play and grind the ore you need to buy kegs. You won’t magically become a master Gwent player overnight, but with a little luck and effort you’ll be able to conquer your opponents in no time.